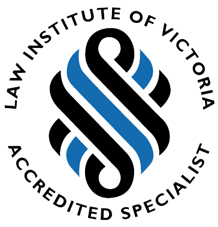 The Law Institute of Victoria (LIV) is the state’s peak body for lawyers and those who work with them in the legal sector. The LIV is generally acknowledged by business, government and the general public as the leader of the legal profession in Victoria. With more than 14,500 members, the organisation represents a potent force of opinion and expertise. The Legal Referral Service provides free referrals to lawyers all over Victoria. Anyone is welcome to use this service and all referrals are made to LIV members. All law firms included in the service agree to see clients for up to the first 30 minutes free of charge. Normal fees will be charged after the first 30 minutes or if additional work needs to be prepared on your behalf. Ballards Solicitors participates in the Legal Referral Service.